SiteGround Vs Bluehost Comparison 2019 - "And The Winner Is..
SiteGround Vs Bluehost Comparison – “And The Winner Is..
SiteGround Vs Bluehost which is the best hosting company to use? The reason to compare this two best hosts in the market is to clarify many of your doubts to make a clear decision. I agree that SiteGround and Bluehost are the top web hosts vouched by best marketing experts like Patt Flynn, Gary Vaynerchuk, Jeremy ShoeMoney, etc. Even though they refer these two companies to start a blog online you should not simply trust without trusting it. That’s why I came up with the idea of testing these two websites practically and tell you the winner to all of you. SiteGround is better than Bluehost? Bluehost is better than SiteGround? At the end of the day, we try to choose the best one. 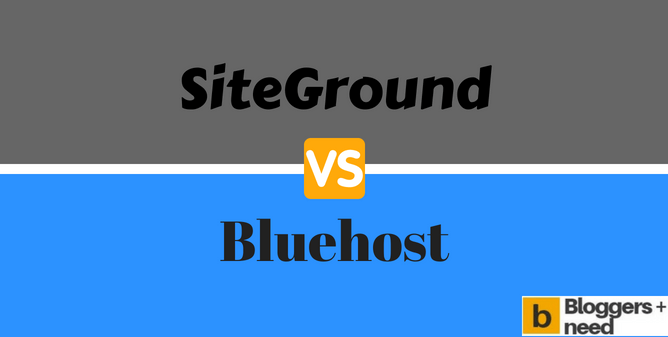 So, here we are going to show the difference between Bluehost and SiteGround. Hope it will be helpful for you to clarify your confusions when it comes to using the best host. Here we are going to have a discussion about some of the exciting features to experience before going to utilize. When it comes to usage of built-in control panel, the users can create multiple email addresses and get to utilize the password checker which is built-in to check. With the usage of control panel, thus the users can access to more number of open-source e-commerce applications like Magento, PrestaShop as well as CS-Cart and some more. The users who want to setting up the shopping cart, store, ecommerce or more, the host siteground will offer the built-in access for any of the tools in terms of completing the further process. When it comes to plans, you can get a hosting plan as per your convenience at affordable price. With reasonable price, you can upgrade to the plan without any hassles. It is the hosting popular for simple controls. 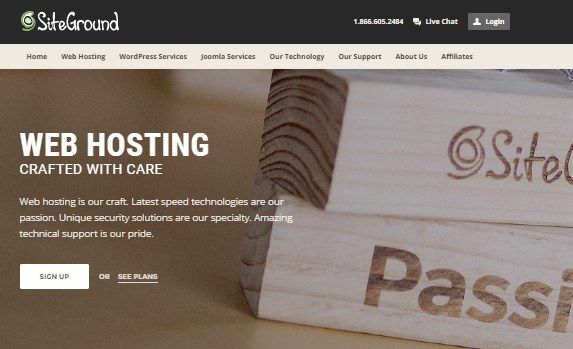 Thus the Bluehost used manage the WordPress hosting in a simple manner. 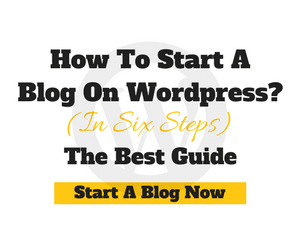 At the same time, it will also help you find the WordPress plugins, scripts and other stuff to start a WordPress website on Bluehost. It is mainly built upon the VPS server which is powerful that leads to function over the level of speed along with full of security. According to the plans, you can also choose the space wanted to allot to store the backup the number of sites and files. However, the plans you can choose as per the requirements. SiteGround: Before going to utilize the host, most of the people often have a look at the pricing of the host. When it comes to SiteGround, you can find the three shared hosting initial subscription options which are ranging from various prices. However, you can expect the range from $3.25 to $11.95 per month based on the plans as well as the duration of the contract. When it comes to the renewal process, you might experience to pay with the increase price of $9.95 to $29.95. 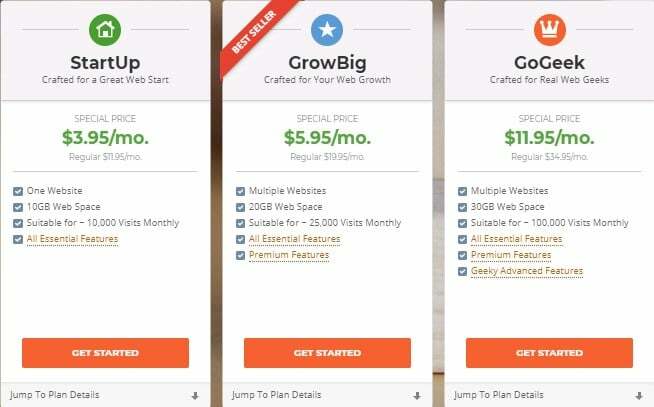 If you are looking for domain registrations, all you need to pay $14.95 per year additionally for Startup, GrowBig and GoGeek. When it comes to transferring the domain, it is absolutely free for all the three. According to the estimated monthly visitors, one must know that 10k for Startup, 25k for GrowBig and 100k for GoGeek. If you are working hard on small business, then the startup is considered to be the good option for its budget hosting price. At the same time, it will also offer the best performances than expected. Bluehost: On the other side, the bluehost has four shared hosting subscription options which are mainly ranging from $2.95 to $13.95 for every month during the time of initial contract. At the same time, one must keep it in mind that the subscriptions are ranging from $7.99 to $25.99 for every month once expires with initial contract. When it comes to the minimum web hosting subscription, you can expect up to 12 months. For your information, all the plans are mainly come up with the one free domain registration for annual year. Also, thus the basic package is mainly includes the limited number of features whereas the high priced plans are offering the unlimited allocations for the number of sites, bandwidth and web space. One must keep it in mind that the advanced packages like Pro and Prime plans are come up with the site backup pro. They are also mainly offering the high speed site performances for most of the time. For small businesses: When it comes to small businesses, we all know that it doesn’t require a lot of storage space and to accommodate the site traffic. In this case, the selection of basic plan for the small businesses could be the best solution to experience. SiteGround hosting Pros: When it comes to Siteground hosting, you can expect a lot of pros which help the people to go ahead in future. It is also considered to be one of the high recommended web hosting platforms for most of the time. Here we are going to share some of the exciting pros to check out. Thus the competitive cost will help the customers in terms of getting the best value for money. Here it comes up with the 99.9% of the uptime guarantee comprised of fast data recovery option which will give the customer to experience the best. The available hosting plans are mainly offer the free domain along with the 30 day money back guarantee when it comes to sign up. The secure hosting technology as well as high-performance might include content delivery network, SSDs memory and PHP7 along with Nginx server. 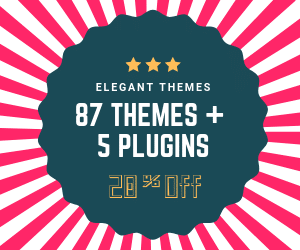 The available of excellent WordPress hosting will help to include the one click installer, automatic updates, Git integration, SuperCacher, WordPress staging and more. SiteGround hosting cons: When it compared to other hosts, you could experience the few limitations. Here we are coming up with some of the cons of this host to have a look. 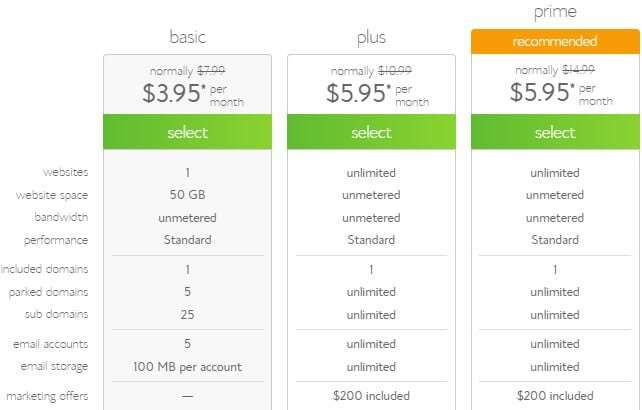 For the smaller price, you will get a limited storage comparing with other hosts. The available cPanel’s UX is basic along with the redesign that is necessary for better visual and navigation. Thus the hosting is not appropriate for the people with multiple sites. One must know that the Google Adwords are available on the other hosts like HostGator but not available on this SiteGround. Bluehost hosting pros: As we all know that the bluehost is considered to be one of the biggest web hosting companies across internet, but still it is essential for us to check out pros of this host. Bluehost hosting cons: Apart from a lot of pros that you have experienced, it is also important for you to know more about the cons as well. It comes up with the limit CPU usage of 10%. In case, if you are using a lot of CPU, then there will be a chance of suspend your website at anytime. You will also experience some of the security issues. As per the sources, few websites hosted are hacked. Most of the people are claiming that 99.9% uptime but still facing the frequent downtime as well for most of the time. Although the price of this host is quite reasonable but when it compared to other hosts, it is not the affordable stuff. Siteground: When it comes to customer service, thus the siteground has the special care for all the time. Most of the users are claiming that it is not the small thing to getting process over around 1000 phone calls and more than 2000 chat requests per day. With the customer support, huge number of people have been supported and utilize the opportunity with full of engagement. For your information, thus the support is mainly providing the three languages to experience like English, Italian and Spanish. Here you can request and seeking for the solution for the plans, pricing or issues can make use of it. From Siteground hosting, they provides the overall customer service satisfaction on the whole. According to the recent survey, there are over 96% have scored for its best customer support. So, people who all are struggling to find the solution or seeking for it for a long time can follow the customer support to clarify and clear the doubts occurred. 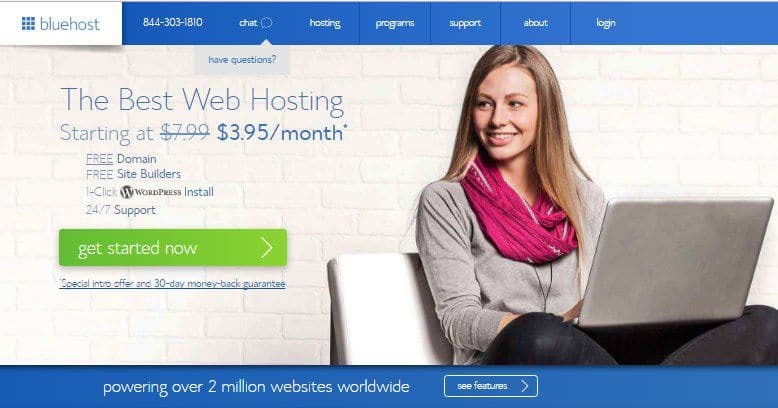 Bluehost: According to the recent sources, most of the users of this host have been complaint about the customer support provided by the Bluehost. For the past few months, when it comes to customer support wise, it was lagging with a lot of things. Also, it makes the people to rated when it compares to other hosts. Now, the talks are like there is a huge improvement when it comes to customer support response rating but still lagging with its contemporaries. Now, the customer support team can now handling the huge space of inquiries in a faster rate. At the same time, most of the customers are claiming that lot of issues have been resolved in a quick time. 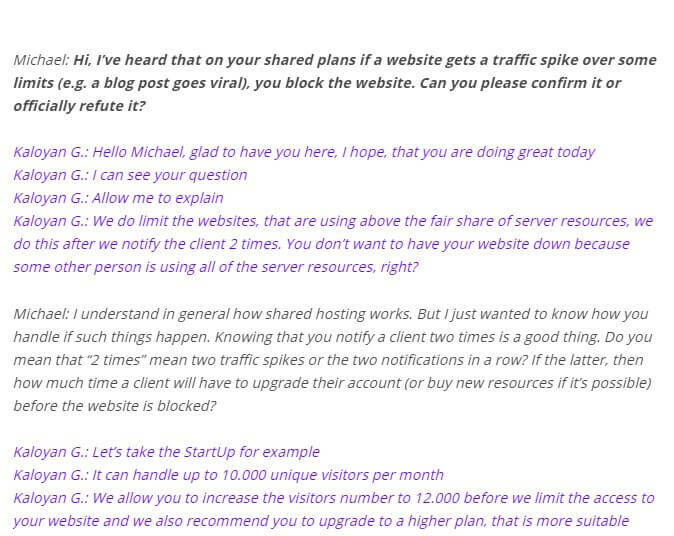 On the whole, currently the customer support of Bluehost is quite impressive when compared to the earlier. As per the sources, the siteground web hosting company has finally set the respective traffic to handle. Also, the space allocations have been extended to unlimited in all the shared hosting accounts. One must know that the hosting is also upgraded all the existing shared accounts as well with more features. Generally, SiteGround hosting is mainly comes up with the 2CPU + 4GB RAM in default. It is helpful for most of the sites but when it comes to running the high traffic or in case you required more resources for make your site faster and handle the traffic, all you need to login to cPanel. However, you can also set the plan to autoscale, if the servers are required. Also, over 1,000,000 domains are hosted by SiteGround. Most of the people are leading their websites with this hosting and continue to meet the expectations. According to the recent survey, the improvement of SiteGround hosting is phenomenal. In fact, if your blog becomes popular and goes viral other web hosting providers will suspend your account immediately. But in SiteGround it’s not the case. 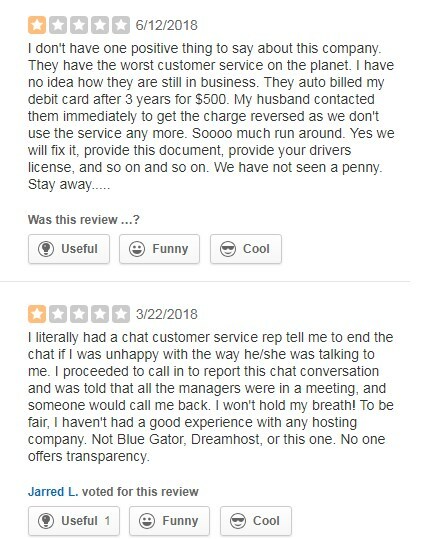 Micheal Bely from researchasahobby.com asked the same question to SiteGround customer support and the reply from Kaloyan customer support was insane. Here is the actual conversation. When it comes to experience of bluehost is most of the users aren’t satisfied with this one. If you are the one with website which receives 100 to 200 visits a day of traffic, then bluehost might be useful. At the same time, it is also cheap to access. With the less number of hits, Bluehost could be the best option. If you expect this hosting to manage the huge level of traffic, then this could be difficult for you to handle further. However, according to the plans you choose, there will be a chance of managing the sites with huge hits daily. When it compared to SiteGround, it is quite low in terms of handling the traffic at time. Time to load in SiteGround: It is always important for the people to know about the loading time in SiteGround. It can be loaded up to fully 400ms. It is also a regular loading time for a site hosted. It can be done through the type of shared hosting. For your information, even after turning off the caching, then the site will be loaded still under 500ms. It is really great for such a heavy handling traffic sites. Time taken to load in Bluehost: When it comes to a faster website, it is essential for you to choose the fast web hosting. With the help of faster web hosting like Bluehost, you can make your site page to load in lesser than the two seconds. It is 85% faster than the other tested sites. Even with the peak of traffic, this could be stable for most of the time. Here we come up with the test to check out. When it comes to this hosting, it is said to be the fast server response times. One must know that the server response time is a measure which is based on the server takes it time to deliver the respective elements of the website. It also offers the fast response time which is averaging about 190 milliseconds in the recent six month period. It means that the data is stored where the information on site. For your information, it can be delivered to the browser of users immediately. In case, if you are looking forward to test a live website, then you can use tools to check out the response time. When it comes to checking the response time, you can see all the stuff where the website mainly loads. Based on the location, the response may be getting differ for most of the time. Here we are issuing the image to check out. When it comes to uptime, SiteGround is mainly boosting up to a 99.99% uptime guaranty base on the website experience. If you found not up to 100%, then there will be chance of downtime for few minutes. However, the actual uptime is 99.99%. However, it is possible of getting an uptime of 100% which is also possible. One of my website hosted with SiteGround got 100% Uptime and this is actual report downloaded from Uptimerobot tool. Based on the two outages in the past few months, the uptime of Bluehost is considered to be standard level of 99.94%. It was down due to the DDoS attacks the servers directly. But it gets back to the level of 99.99%. Also, there is a possible of reaching 100% as well. What is essential to follow by users? Whenever, the people are looking ahead to follow the best hostings, they used to have a look at some of the customers feedback as well. It is such a common thing for the people to check before going to purchase it. As the SiteGround hosting gets a name for its best performances for many things where the Bluehost lost its track recently. Some of customer’s feedbacks are mentioned here that who were all struggled to use Bluehost and found so many drawbacks. Affiliate Marketing Ninjas is a group of popular affiliate marketers from around the world who are making $500 – $1000 daily from big websites. Warren Wheeler founder of amninjas the admin of the group recommended SiteGround as the best web hosting for all types of websites. As we mentioned earlier, the SiteGround web hosting is highly developed some of the innovative approaches in many ways in terms of improving the speed and performances. This thing will literally beat the competitive hosting Bluehost where it lacks the performances in recent years. 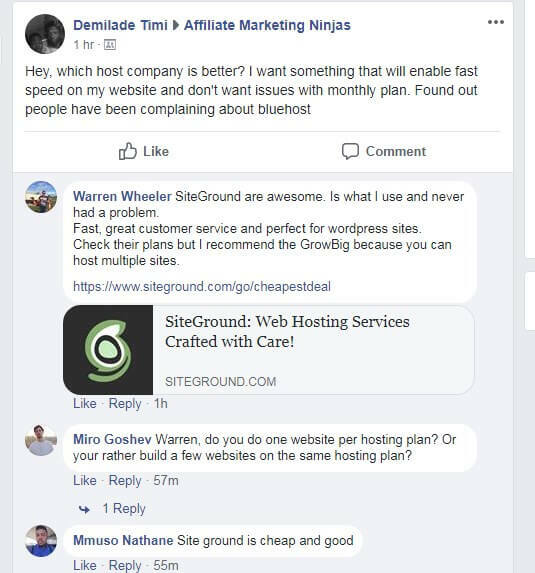 Bluehost vs SiteGround and the winner is absolutely SiteGround for it’s best performance and overall satisfaction from the users around the world. SiteGround’s $3.95/month for 1 website with the size of 10GB is quite expensive. BlueHost’s 50gb is the same. For a person who is just starting to blog, even if he writes 1 blog post daily with 300-500 words per post for 1 year, will not use more than 2GB of disc space. 10GB is way too big. Any cheaper and practical options to compare those 2 with?